Over the course of her career, Franklin received multiple honors, including The National Medal of Arts and The Presidential Medal of Freedom. In January 2009, she sang "My Country 'Tis of Thee" at the inauguration of President Barack Obama and her much-commented-on, oversized gray bow hat subsequently made its way to the Smithsonian Museum. 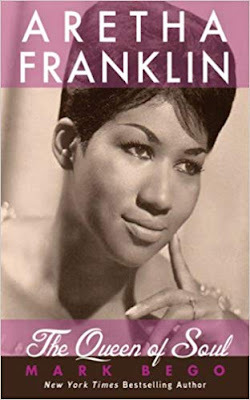 By 14, Franklin had released her first album, "Songs of Faith" and began touring on the gospel circuit until she became a teenage mother of two sons. By 18, she had signed with Columbia Records and moved to New York, where her talents quickly brought her fame – and a title. In 1965, during a show, the M.C. gave her a crown and declared her the "Queen of Soul." Switching to the Atlantic label in 1967, Franklin's second single was "Respect," probably her most acclaimed work (the lyric "r-e-s-p-e-c-t, find out what it means to me" reportedly began as a Franklin ad-lib). Other hits that followed included "(You Make Me Feel Like) A Natural Woman," "Chain of Fools," "Call Me," and the 1972 gospel album "Amazing Grace." In all, she won 18 Grammy awards, beginning with Best Rhythm and Blues Recording for "Respect" in 1968 and ending with Best Gospel-Soul Vocal Performance by a Duo or Group for "Never Gonna Break My Faith" with Mary J. Blige in 2008.